Spa furniture with a fluid design and with stylistic impact and integrity: a perfect way to describe the Satai Teak Outdoor Club Chair. When you think of spa furniture you imagine restorative techniques and comfortable relaxation. You envision tranquility, personalization and pampering. Your mind wanders to the calmness and the rejuvenation you know you’re about to achieve. The Satai Outdoor Club Chair is a perfectly representative piece of spa furniture because it embodies all of these concepts while still maintaining a bold style and all of the smooth gracefulness that it starts with. The richness of the warm A-Grade teak in it’s trademark gold and honey and blonde tints, and the comfort of the soft Sunbrella® cushions (which are included as shown at this price) combine in your mind prior to ever sitting in this amazing piece of spa furniture to have you believing there is everything to gain by owning the Satai Teak Outdoor Club Chair. W35" x D27" x H31"
A minimal footprint is overshadowed by the obvious presence of the piece with its long smooth curved lines and contrasting crisp, clean flats. 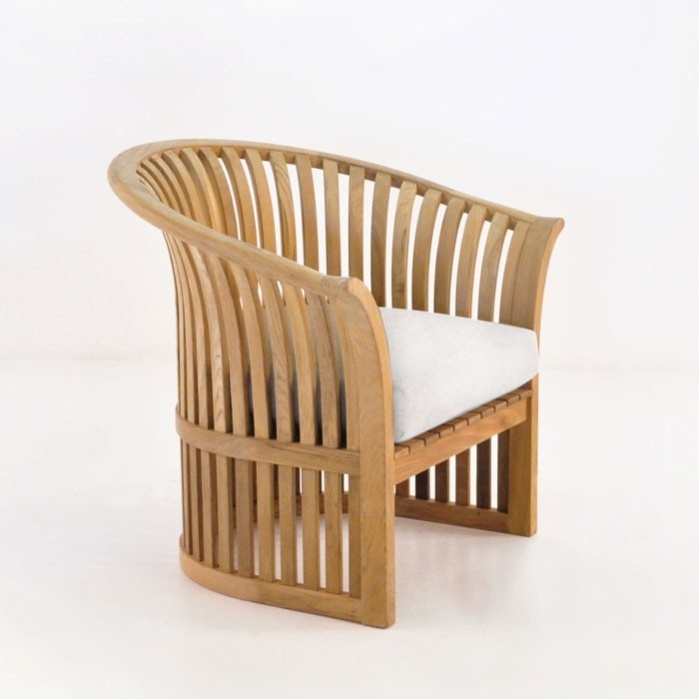 The breezy feel of this club chair is achieved through adequate spacing and the right sized teak wood. It just feels like every great piece of spa furniture you’ve ever enjoyed relaxing in. The rich wood tones, the clean contrast of the cushioning and the shaped back for the right stance. This chair epitomizes the spa mentality of the best resorts and hotel properties in far flung locations, with its open feel and user friendly design. 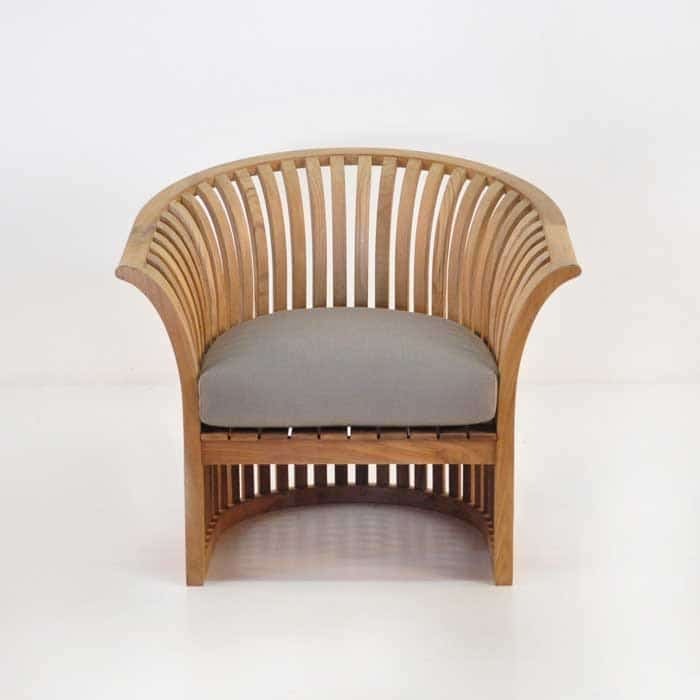 The attention to detail and the relaxation specific design cues remind you that you made an excellent choice with the Satai Teak Outdoor Club Chair. It’s the type of piece that instantly transforms your backyard into your own private oasis; a place where you know you’ll be able to escape and relax, that’s just steps from your living room. 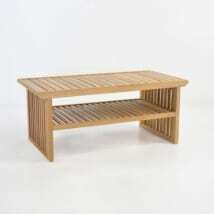 Spa furniture is the type of furniture that immediately evokes calming and restorative ideas in your mind. This Outdoor Club Chair takes that concept a step further with its stirring good looks and the shape that conforms to your body for a minimalist, but relaxing chair. 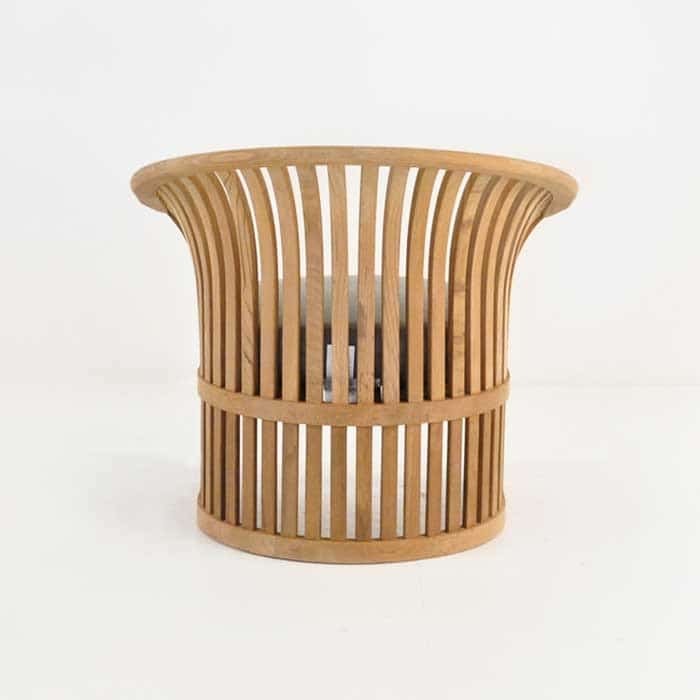 Organic, natural and striking, this piece of spa furniture definitely focuses on your transportation to a space where you can really check out for a small amount of time and find deep enjoyment. This Outdoor Club Chair also has an ultra-clean and modern feel to it, with slim lines and interesting materials; contrast, a flowing and fluid design, and the small footprint. 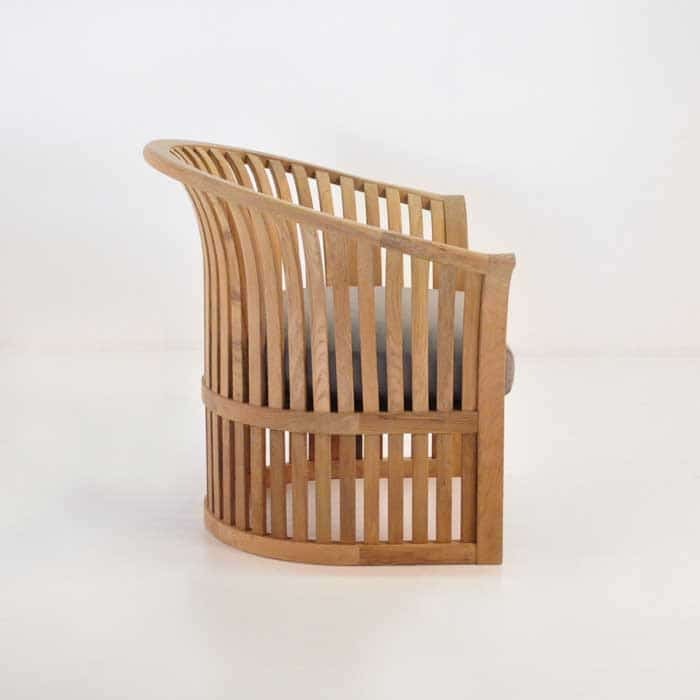 As far as outdoor lounge chairs go, this is one that is evocative of the best spa furniture. Please choose an in stock cushion color from the drop down menu for immediate delivery or select a custom cushion color from our Sunbrella® range below. Allow an additional 2-3 weeks for custom cushion colors. All cushions shown are included in price. Color shown is Taupe.